More than 150 firms have issued a letter calling on Prime Minister David Cameron to back the UK solar industry. Firms included Ecotricity, Kyocera and Good Energy all signed the letter, urging the Government to rethink proposed changes to subsidies involving solar power. The letter, which arrived on the day the Department Environment and Climate Change (DECC) closed its consultation and was organised by the Solar Trade Association (STA), follows Good Energy founder and CEO, Juliet Davenport, issuing a similar warning last week. 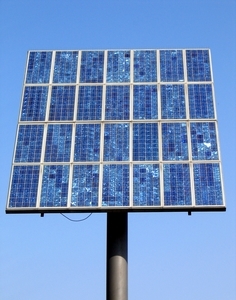 STA chief executive, Paul Barwell, said: "Solar is a home-grown solution to Britain's energy crisis. If the government provides a stable policy environment it will soon be subsidy free. "But the Government is now proposing to tilt the playing field against large-scale solar while not taking sufficient action to unlock commercial rooftop solar – that is unacceptable." Under the proposed changes, due to come into play from April 2015, solar farms generating more than 5MW of energy will have to go toe to toe with other renewable energy sources such as windfarms, under a new scheme known as 'contracts for difference', in order to get the subsidy they currently receive. Barwell added: "We urge DECC not to close the Renewables Obligation to large-scale solar and to rethink proposals on feed-in tariffs to allow a meaningful rooftop market, which their own Solar PV Strategy recognises has such tremendous potential. "So serious are the implications of these consultations for the British solar industry that we are asking the Prime Minister to intervene. We only need one more push, one more period of policy stability to be able to compete with fossil fuels without support. That is the global race the PM needs to win for the UK economy and the climate."